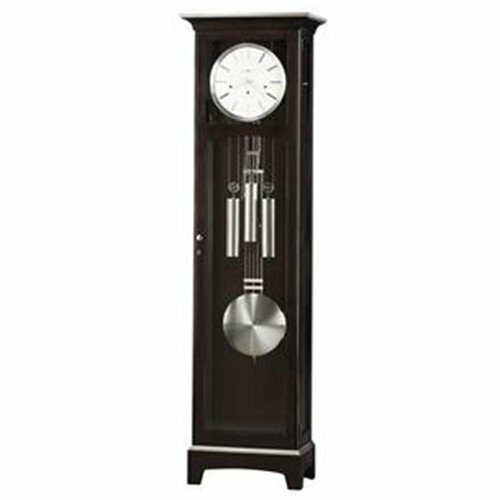 This traditional grandfather clock lends a weight of character to any common area of the home and is clearly so much more than just a timepiece. Distinguished by its flat-top pediment, crisp white dial and depth of nickel finish detailing, the Urban Floor II is easily admirable. Cable driven Kieninger movement ensures accurate timekeeping, and joins a glass pendulum/chime cabinet and a warm black coffee finish to complete the appeal of the Urban Floor II Grandfather Clock.